Would you go under the knife with nothing but a hypnotist to numb the pain? At first glance, the scene unfolding around Philippa Plaisted as she lay on the operating table appeared completely in keeping with the setting. To her left stood the surgeon, masked and gowned, with his scalpel raised in the air in readiness. In front of her was the nurse, ready to swab and clean after the first incision. And to her right, seated within touching distance, a third figure could be made out. The anaesthetist? The likely answer. But not so in this extraordinary operation. For Charles Montagu is a hypnotherapist and Philippa his patient. For the next 40 minutes he would sit by her side. Every so often, he would talk to her in his rich, reassuring voice and use his thumb to apply pressure between her eyes. But for the most part he is silent, leaving the talking to the medics. First comes an incision into the chest. Then an artificial valve attached to her breast implant – inserted after a mastectomy – is repositioned. Through all this, Philippa is in a hypnotic state and feels no pain. For many, it sounds like the stuff of nightmares – an operation that would normally require a general anaesthetic, instead performed with no pain relief. But, for Philippa, it was her personal choice and one that, looking back, she has no regrets about having made. ‘I was very apprehensive about that first incision,’ recalls Philippa. ‘But when the moment came, I couldn’t feel a thing. I could hear the surgeon telling me that he was about to make the first incision but I didn’t feel anything. Philippa’s account of her operation at the Lister Hospital in London will astound many. But it shines an extraordinary light on the power of the mind and on hypno-anaesthesia – the use of medical hypnosis in place of anaesthetic drugs to beat pain. ‘It may sound like science fiction, but it is possible to literally switch the pain off,’ says Mr Montagu a clinical hypnotherapist and co-founder of The Health Partnership, an integrated holistic and medical centre in central London. For Philippa, a mother-of-two from Henley-on-Thames, it was the hope of a quick recovery that persuaded her hypnosis might be the answer. Having been diagnosed with breast cancer, she had already undergone a mastectomy and half a dozen operations in fairly quick succession. ‘I am one of those people who reacts badly to being anaesthetised. It affects me for weeks afterwards, triggering terrible lethargy and dizzy spells,’ said the 49-year-old former personal trainer. Mr Montagu prepared Philippa for the operation with three practice sessions. ‘Each time, after working to get me into a relaxed state, he tested my pain responses by pinching the inside of my wrist and just above the Achilles’ heel, which was sore to start with. But you learn to switch off,’ she says. ‘On the morning of the operation, I was very apprehensive. I felt like a coiled spring. But Charles spent some time with me on the ward and when the time came to go down to theatre, it felt like I was floating. That all sounds well and good, but what, to put it simply, if it starts to hurt? Shelley Thomas, a 57-year-old from London, was concerned this might happen during her 30-minute bladder operation under hypnosis. So she devised a signal to use if she was in pain. ‘We agreed that if I moved my index finger it meant I needed to go into a deeper trance,’ said Shelley, a metalwork artist and blacksmith who was treated by hypnotist Dr John Butler. As a part-time hypno-therapist herself, Shelley was intrigued to know whether she could mentally separate herself from the pain she was experiencing – she was impressed. It is thought that hypnotism was first used as a surgical anaesthetic in India in the mid-19th century, but the discovery of ether soon after meant its use in the operating theatre all but disappeared. Only in recent years has its efficacy in limiting a patient’s response to pain been tested in varied medical settings, with doctors hypnotising patients to help ease migraines, depression, anxiety and chronic cancer pain. 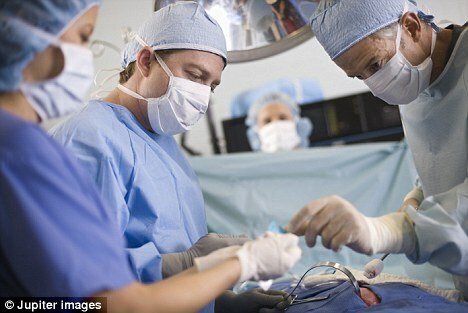 But in Europe it is now increasingly being used in surgery. At one Belgian hospital, more than 5,000 surgical procedures have been carried out using a technique known as ‘hypnosedation’, which replaces general anaesthesia with hypnosis, local anaesthesia and a mild sedative. Studies have shown that those who are ‘hypnosedated’ and avoid the side effects associated with general anaesthetics are able to return to work twice as quickly – 15 days after surgery rather than 28 days. So how does it work? ‘Hypnosis is not like the typical Hollywood portrayal that we see,’ says Dr Butler, who holds a PhD in medical science. ‘It’s not all “look into my eyes” and swinging clocks. It is a natural phenomenon which we experience every day – the twilight between waking and sleeping. With practice, people can go much deeper into that state. Rather than being a zombie, they are in a responsive state. Dr Butler insists he has never had a patient ‘wake up’ in pain during the procedure. 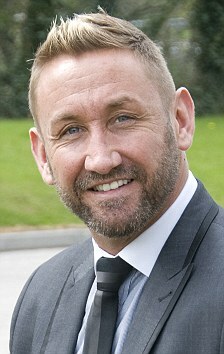 One of his patients is 38-year-old Dale Hitchman, a manager for Next from Blackpool, who underwent a hernia operation. ‘To say you don’t feel any pain at all is not true, but it is a bearable pain and in your head you are telling yourself that these are feelings and sensations rather than pain,’ he says. Surely, he must have been nervous ahead of the first incision? ‘Nothing can prepare you for that,’ he admits. ‘But after that, I was smiling because I was thinking “yes, I can do this”. It’s like cutting yourself with a bread knife and not realising until you see the blood. During the procedure, Dr Butler constantly spoke with Dale. The extent to which hypnosis could be used as a medical tool is still very much an unknown quantity. Dental surgeon Dr Mike Gow, a former president of The British Society of Medical and Dental Hypnosis (Scotland), uses hypnotism with local anaesthetic to help patients who have a phobia about receiving dental treatment. He has also treated patients who – though most of us would recoil in horror at the idea – have had teeth removed without the need for conventional pain relief. But the most fascinating application being explored is to use hypnosis to ‘trick’ the body into thinking that a procedure has been carried out when in reality it has not. This is the thinking behind the gastric mind band, a technique that head teacher Kay Lindley, 59, has first-hand experience of. At 22-and-a-half stone and with health problems, such as diabetes, Kay, who is 5ft 10in, was desperate to do something about her weight. After a lifetime of dieting, she became convinced a gastric band was the only option, but was too scared to undergo an operation to have one fitted. Instead, she decided to have a ‘mind band’ after reading about it online – a process that hypnotises a patient into believing they have undergone a gastric band operation and subsequently feel full more quickly, eat less and lose weight. 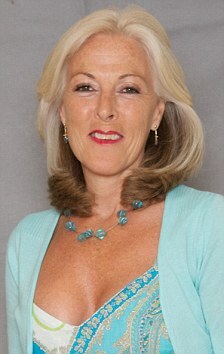 Kay paid £700 to undergo the procedure at the Elite Clinic, in Marbella, Spain, last July. During a number of sessions she was put into a deeply relaxed state and encouraged to visualise the fitting of a gastric band that would reduce her stomach to the size of a golf ball. During the visualisation process, an antiseptic scent was sprayed into the air and a CD played with the clanking sounds of metal medical instruments and the hushed chatter of doctors. Afterwards, Kay felt as if her stomach was smaller and began to get full even though she was eating less food. By the end of the week, she had lost 4lb and when she went back for a final treatment a month later she had lost a stone. Kay now weighs 15st and plans to lose a further two. ‘The gastric mind band was cheaper than the actual operation,’ she says. ‘There was no stay in hospital, no anaesthetics and no pain. I was desperately unhappy with what I looked like, and being so big was restricting my quality of life. Such results apart, no one believes hypnotism will ever replace anaesthesia completely. For one – not everybody can be hypnotised. It is believed that only 60 per cent of patients are ‘ hypnotisable’ to some degree. More to the point, many patients are fully sedated before surgery not because the procedure requires it, but because they choose to be. Quite simply, they want to wake up when it is all over and the scalpels have been packed away. And if it takes them slightly longer to get over the after-effects of the anaesthetic, that is one pain they are prepared to put up with.